Working out during pregnancy can improve your posture and decrease backache and fatigue. Now the only question is: what is safe and what is not? Read on to find out! 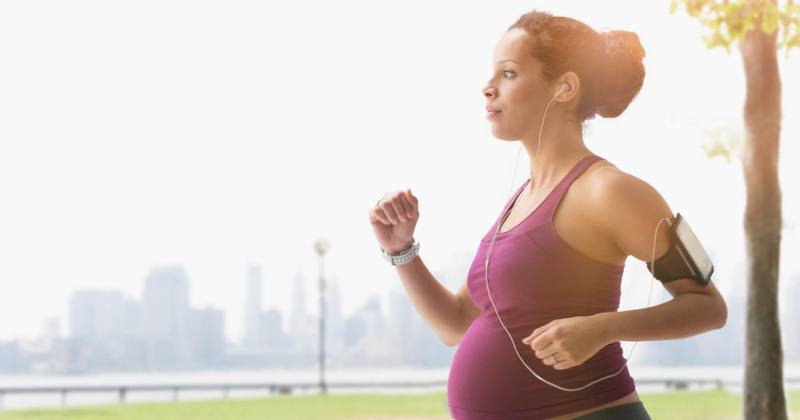 First, let’s talk about the benefits of working out during pregnancy. We all know how important exercise is in general, but during pregnancy there are even more reasons to get moving. Improve sleep: Exercise can help you catch those elusive zzz’s you might be longing for. It can also improve your quality of sleep. Relieve constipation: Staying active will also keep your bowel movements active. Lower blood pressure: It’s normal for your blood pressure to go up slightly during pregnancy, but if it goes up too much it could be a warning sign of Preeclampsia, a pregnancy complication that is caused by high blood pressure. Preeclampsia usually begins after 20 weeks of pregnancy in women whose blood pressure had been normal. A 30-minute brisk walk four times a week could keep the low blood pressure at bay. Reduce stress and mood swings: Exercise boosts levels of serotonin, the happy hormone, and increases endorphins. Prepare you for childbirth: If you’re in good shape it could ease labour and even shorten the time it takes to deliver your baby. In the past doctors advised women to avoid exercise during pregnancy, so don’t be too surprised if your mom or grandmother frowns upon your exercise activities. If your doctor has given you the thumbs-up, put your gym gear on and get going! This is the perfect exercise for every part of your pregnancy – with swimming there is almost no risk of falling on your stomach and hurting your baby. Swimming during pregnancy will help you to tone up and improve blood circulation. Best of all: you’ll feel weightless in the water! Be careful when you enter the water and choose a stroke that you’re comfortable with. Breaststroke is a good choice, as it requires minimal rotation of the torso and belly. If you’ve been doing weight-training for years, you can continue your normal workout routine with minor adjustments. It is a good idea to use lighter weights during pregnancy – do more repetitions with light weights, as opposed to fewer repetitions with heavy weights. Yoga will increase your flexibility and keep your joints limber. In your second trimester, as your uterus gets heavier, it is best to avoid poses that require you to lie flat on your back. It can put too much pressure on major veins and decrease blood flow to your heart. If you’re an avid cycler, you don’t have to stop during pregnancy, just be more cautious and don’t overdo it. Plan your routes carefully and avoid dangerous roads. If you’re not one for the great outdoors, you might enjoy indoor cycling at your local gym. The easiest exercise of all! Put on your walking shoes and take a stroll around the block. This is a good cardiovascular workout with low impact on your knees and ankles. Big plus: you can do it anywhere and at any time throughout your pregnancy. 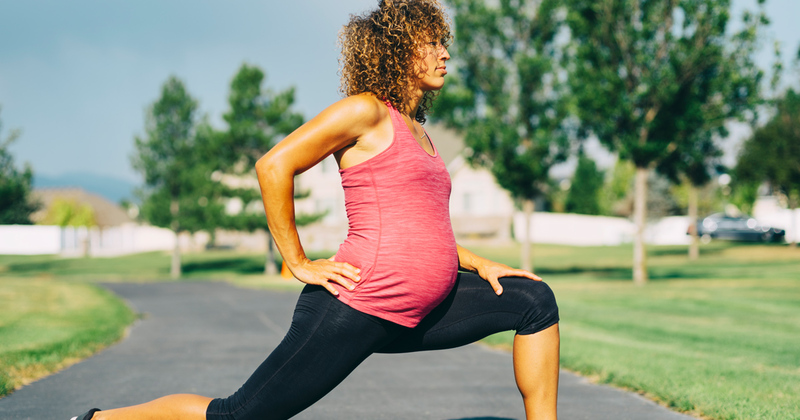 Exercise during pregnancy holds a whole host of benefits for you and your baby, so choose an exercise that you enjoy, commit to it, and most importantly: listen to your body.